Where do I start? – Step-by-step guides for different situations, such as getting a diagnosis, coming out of hospital, or struggling at home. Accessing Support – Find out what support is available to you, how to access it, and what to do if you don’t get the support you need. Money – Worried about money? 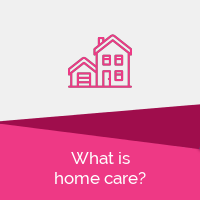 Check out our guides on how much your care should cost and what financial support you might be entitled to. My rights – Tips on issues like rights at work, discrimination, and mistreatment. How I feel – Tips on dealing with isolation and spotting the signs of stress or depression. Glossary – Health and social care jargon explained. Just been diagnosed? – If you’re not sure what to do, or you need to talk to someone, click here. Understanding dementia – Learn all about dementia and what you can do to manage the symptoms. Your Journey – From diagnosis to moving home, this section is here to prepare you for the challenges you might face. Staying Independent – Tips on driving, staying at home, getting out and about, and going on holiday. Relationships – Advice on what you can do if dementia is affecting your relationships with family, friends or your partner. Planning the future – Advice on the steps you can take now to make sure your wishes are respected in the future. Am I depressed? – If you’ve been feeling persistently sad, anxious, or empty, you may be depressed. Understanding depression – Everything you need to know about depression, including how it works and common misconceptions. Tackling depression – Understand what you can do to tackle your depression and stay on the road to recovery. Getting support – Tips on reaching out to friends, family, and others for help, or getting support online. Suicide & Self Harm – This section has tips on managing suicidal thoughts and the urge to self-harm. Just been diagnosed? – If you’re not sure what to do, or you want to talk to someone, click here. Understanding diabetes – Learn about type 2 diabetes and what your treatment might look like. Managing diabetes – Guidance on how to make changes to your lifestyle, manage illnesses and hypos, and prevent further problems. Staying independent – Tips on traveling, driving, staying in work, and sleeping well. How I feel – Looks at how life with diabetes can affect you emotionally, why making changes is hard and when to seek help. If things go wrong – What to do if you have a hypo, develop foot or eye problems, or don’t agree with the treatment you’re getting. Understanding CHD – Learn about coronary heart disease and what your treatment might look like. Managing CHD – Guidance on how to make changes do your diet, stop smoking, and get more active. Staying independent – Tips on traveling, driving, and staying in work. How I feel – Looks at how diagnosis can affect you emotionally, why making changes is hard and when to seek help. If things go wrong – What to do if you’re having a heart attack, a stroke, or don’t agree with the treatment you’re getting. Is it arthritis? – If you’re experiencing pain, this section looks at what it could be and when to see a doctor. Understanding arthritis – Learn about the different types of arthritis and what your treatment might look like. Managing arthritis – Tips on protecting your joints and managing pain. Daily life – Advice on driving, working, managing at home, with tips on equipment that can help. How I feel – Look at the emotional impact of life with arthritis, and when it’s time to get help. Where do I start? – Guides on what to do if you’re new to caring, whatever your situation. 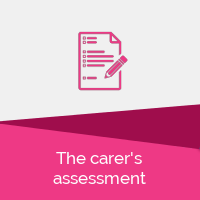 Support for me – Find out what help you can get as a carer and how to access it. Support for them – Looks at the support the person you care for can get so that your role is easier. 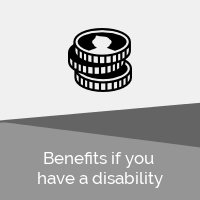 Money & Work – Information on benefits, discounts, and grants you can access, and advice on your rights at work. Planning the future – Ensure their wishes are respected in the future by planning ahead and be prepared for emergencies. Managing their affairs – Looks at how to help someone with finances and lasting power of attorney. How I feel – Tips on improving your well being and spotting the signs of stress or depression. Have they just been diagnosed? – There’s lots to take in after a diagnosis. This is a quick guide on what to be aware of and what to do next. 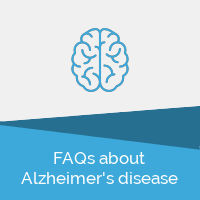 Understanding dementia – This section answers common questions about the different types of dementia. Your journey – From the moment of diagnosis to the end of your caring role, these pages are here to prepare you for the times ahead. Tips on good care – Not sure what you’re doing? This section is full of tips and guides to help you care with confidence. 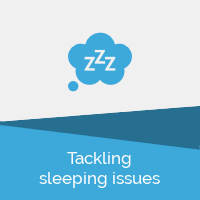 Managing caring challenges – Covers issues such as sleep problems, repetitiveness, washing, eating, and problems with recognition. How you can help – Tips on helping someone with depression, from “active listening” to practical support you can offer. Managing difficult situations – Advice on what to do if the person you care for doesn’t want help, is having suicidal thoughts or is self-harming. Understanding Type 2 diabetes – Learn about Type 2 diabetes and what their treatment might look like. How you can help – What to say, what not to say, and how to help someone make lifestyle changes. Emotional impact – Looks at common feelings like worry, frustration, and exhaustion, and when it’s time to get help. If things go wrong – Covers hypos, refusing to change, foot and eye problems, and disagreeing with treatment. Understanding CHD – Learn about CHD and what their treatment might look like. If things go wrong – Covers stroke, heart attack, refusing to get help, and disagreeing with their treatment. Understanding arthritis – Learn about the different types of arthritis what their treatment might look like. How you can help – Tips on helping someone manage pain and finding equipment they could use. Your relationship – Looks at how arthritis can change the dynamics of your relationship and what you can do. If you're living with a long-term condition, or you're caring for someone else, we're here to support you. Join our community, get unlimited support, and access our team of local experts, by becoming a member of HERE. We provide online advice and guidance, phone support, signposting to local services, and specialist equipment knowledge. HERE is a new support service from Guideposts, a national UK Charity. For over 40 years, we’ve been working in local communities to deliver a range of support – from day centres and befriending services to emergency support for carers. We have a proud history of providing specialist information and guidance. Our Dementia Web team provided advice to people with dementia and their carers. More recently, our Independent Living Centre team helped thousands of people stay independent in their own home with the right equipment. Now, with HERE, we’re bringing our information services together, so that no matter how complex your situation is, we can offer you support. Copyright 2016 Guideposts | Guideposts is not responsible for the content of external sites. Read about our approach to external linking.